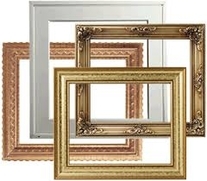 GREAT FRAME SELECTION TO SUIT ALL TASTES AND ALL BUDGETS. -Member of Professional Picture Framers Assoc. 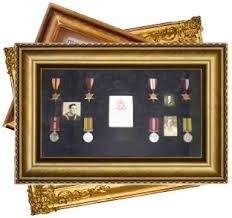 -Memorabilia and shadow box framing. 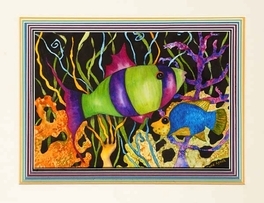 -Tapestry and needlepoint stretching and framing. -Custom mat cutting - multiple openings as required. -Oval and circular mat cutting. -Wide choice of moldings and fillets. -Frame repair, glass replacement, mat replacement. -Home service available if required. IVOR WITH 2 OF HIS ORIGINAL WATERCOLOURS OF DUNDAS. DON'T KEEP THOSE WONDERFUL PAINTINGS AND PRINTS HIDDEN UNDER YOUR BED IN A BOX, GATHERING DUST. 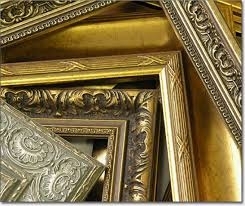 YOU LIKED THEM WHEN YOU BOUGHT THEM SO BRING THEM IN AND HAVE THEM FRAMED SO YOU CAN PROUDLY DISPLAY THEM IN YOUR HOME. AND OVER 300 MAT CHOICES. ALSO STRETCHING AND FRAMING OF NEEDLEPOINTS AND TAPESTRIES. CUSTOM FRAMING OF DIPLOMAS AND DEGREES. Ivor's latest watercolour - now for sale in the gallery.